Exploring the iconic mountain panorama on two wheels. 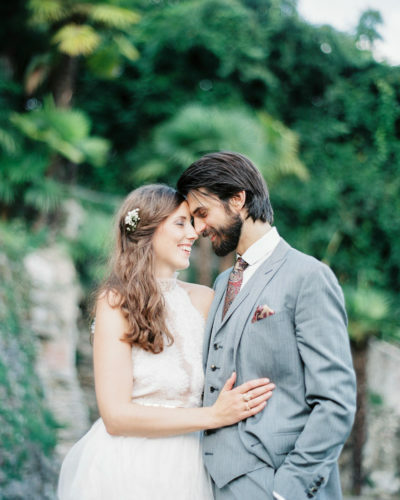 Patrick and Romina‘s biggest common passion is outdoor sports and discovering the beauty of the Alps – no matter if it's on bikes or skis. 8 o´clock, the alarm clock goes off and we two early birds jump out of bed to get our blood pumping for our pre-breakfast ride on the Gornergrat. The trail has a good flow and is the perfect workout to start the day in nature. 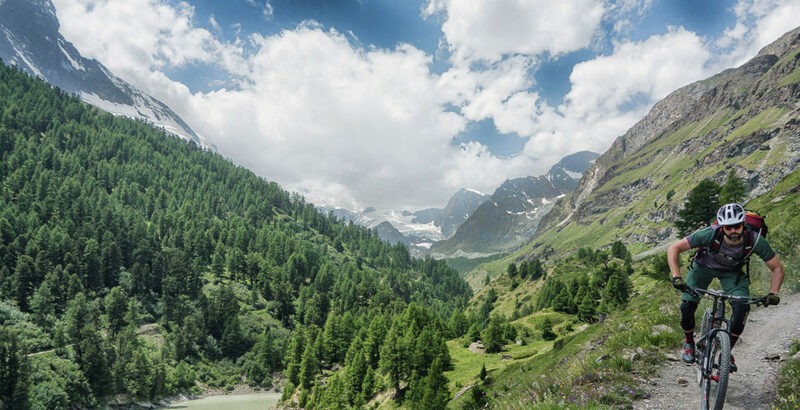 19.7 kilometres lead back to Zermatt over dirt roads and along alpine meadows and lakes – it is simply beautiful! If you want a slightly easier trail, take the cable car up and hop on the Schwarzsee trail. This one is about 13 km long and manageable for kids eight years old and up. After returning to the valley it’s time for a delicious breakfast with traditional Swiss items like “Bündner Fleisch“ and lots of good cheese at our favourite breakfast spot, Unique Hotel Post. To round off a lovely morning, we get a second cup of coffee to-go at Stafelalp mountain restaurant and take the so called “Hobbit-Trail” back to Zermatt. The name comes from the striking resemblance to the New Zealand landscape. The next task of the day, getting ready for – guess what – an after-breakfast ride! Yeah! 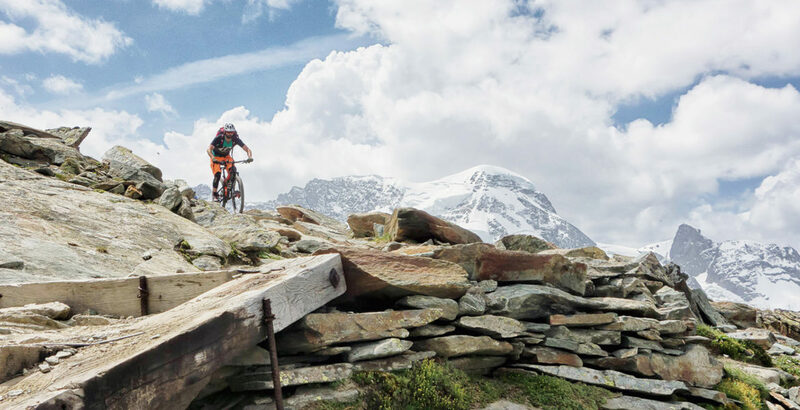 We head into the mountains again to check out the best single trails in Switzerland. We highly recommend the Europaweg trail (which is quite demanding) or the more moderate Blauherd trail. All of a sudden sunset is here – time flies when you’re having fun – so we make our way to Zermatt’s Cervo Bar. After a day full of sports, fresh air, and beautiful nature the best thing is to have a beer or a sundowner and enjoy the stunning views of the mountains – especially from the Matterhorn. Another cool spot for drinks (and chatting with locals about the upcoming weather or the best hiking trails) is Papperla Pub. What we definitely need now is a nice dinner to refuel for tomorrow’s adventures. 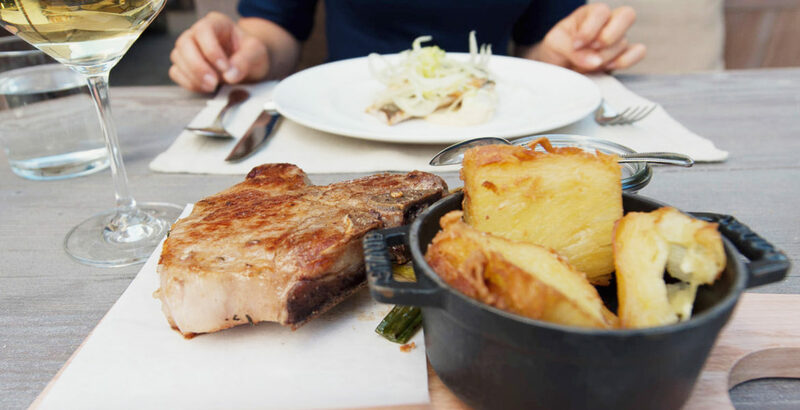 At Cervo Puro we love to order the beef filet and Cervo fries with truffle oil. They have a great wine menu too – try the Dôle. 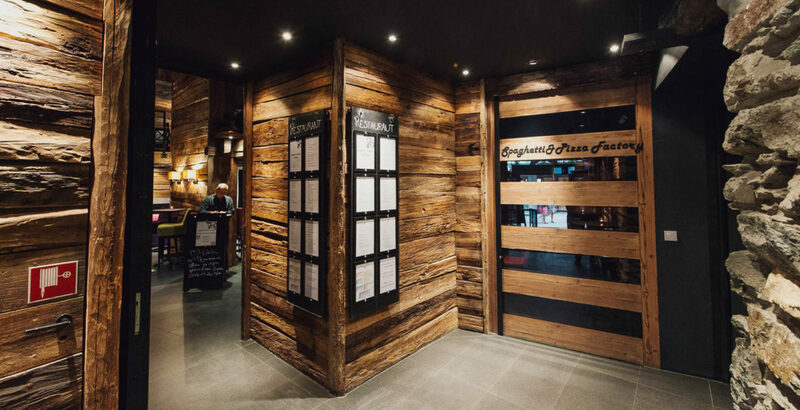 The restaurant’s interior has a cosmopolitan touch, without losing the feel of a cozy mountain chalet. During winter time Zermatt is also an incredible destination for skiing. 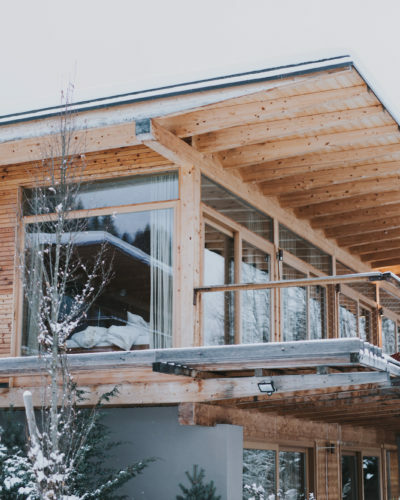 The best hotels to wake up near the slopes are the Mountain Boutique Resort Cervo and Unique Hotel Post. Cervo, is such a unique place to stay; they manage to perfectly combine an athletic atmosphere with sophisticated style, design, and service. 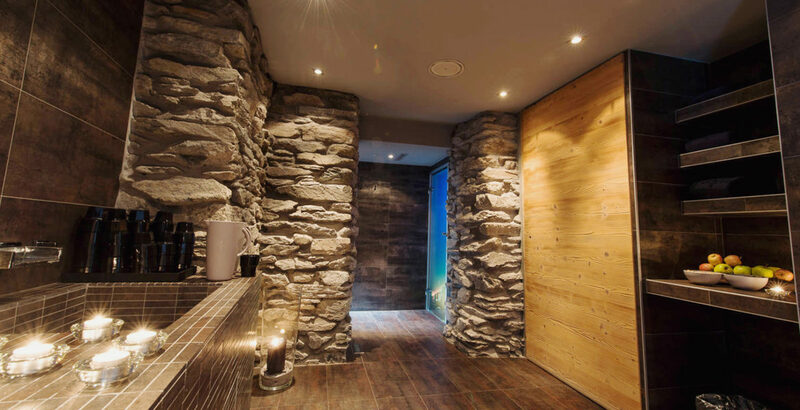 Stay in one of their beautiful chalets and you’ll have your own wellness area! At Unique Hotel Post you’ll get chic alpine charm and a wide variety of delicious opportunities to eat and drink. 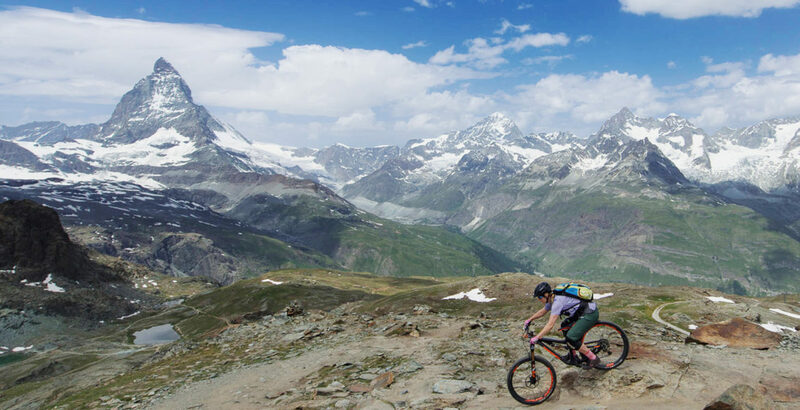 Check out our website for more information about biking in Zermatt. 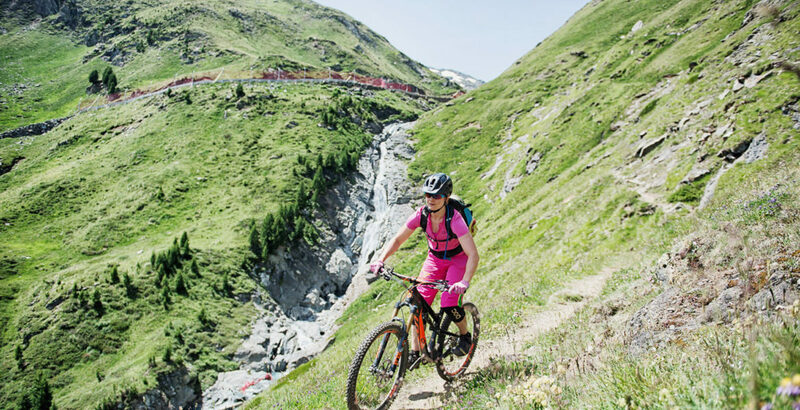 In 33 minutes the mountain railway takes you from Zermatt all the way up to Gornergrat, where you start the tough but incredibly beautiful bike trail. 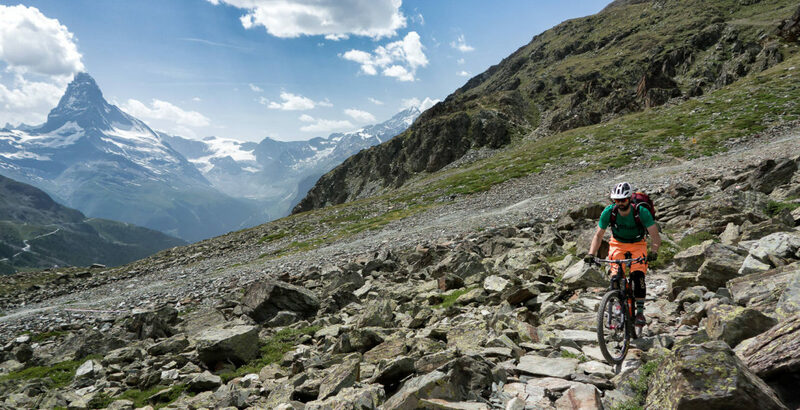 The trail leading from Schwarzsee to Zermatt is quite an easy one, manageable for older kids. 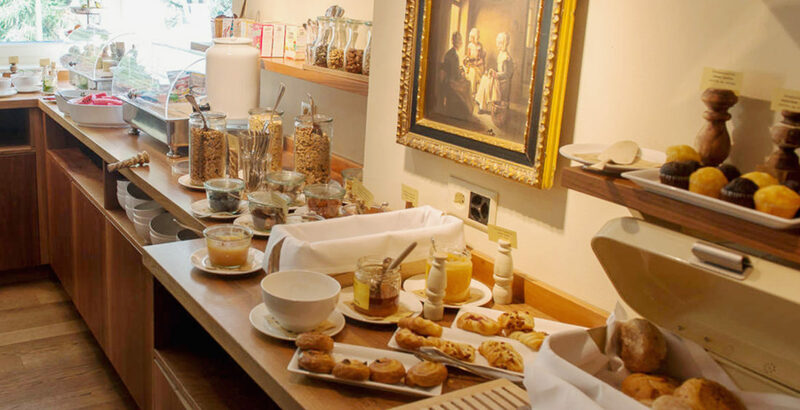 This breakfast buffet is full of delicious local and fresh products. 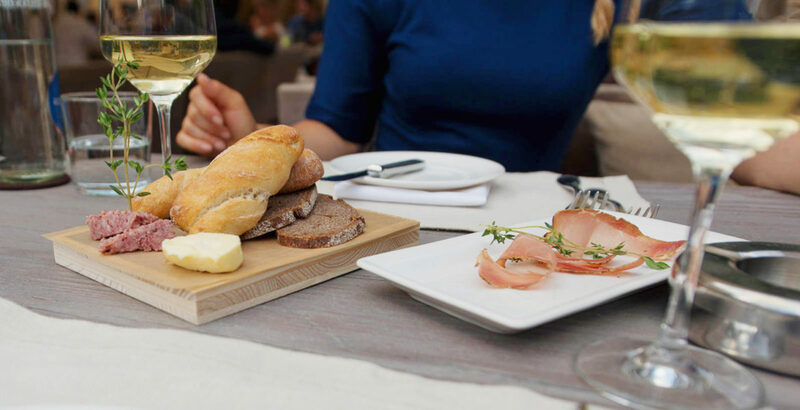 They have an amazing sun terrace where you can enjoy all kinds of typical Swiss delicacies. The name "Hobbit Trail" is inspired by the New Zealand-like nature that surrounds you here. The trail leads from the "Gornergrat" to "Ranft" and is about 27 km. 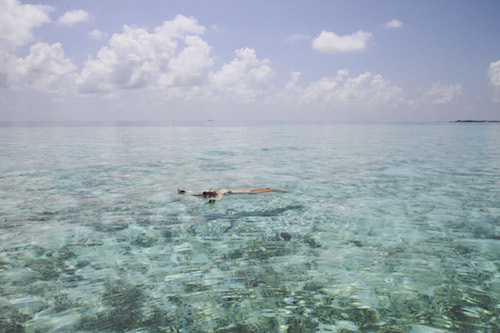 Plan some time for it! Another beautiful trail of medium difficulty. Have a refreshing drink at the bar/lounge at Mountain Boutique Resort Cervo. This is the place to have a beer with the locals. 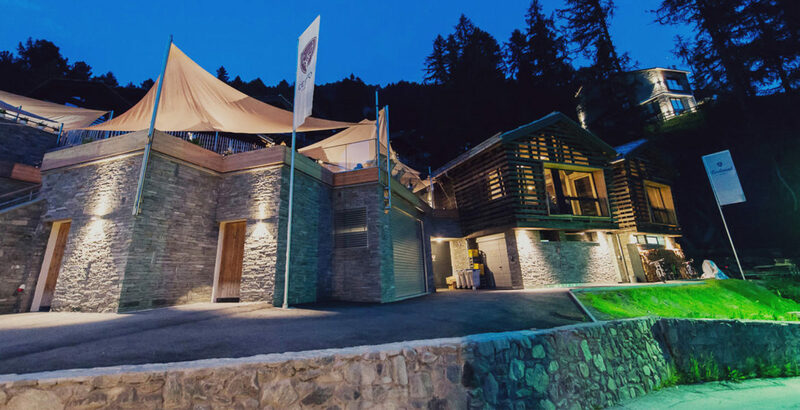 Apart from being a unique place to stay, their restaurant "Cervo Puro" offers a well-done mix of mountain cuisine and North Italian influences. Also have a refreshing drink at their bar/lounge "Cervo Bar". Zermatt is one of the most spectacular places in Switzerland. We love it not only because of its iconic “Toblerone” shaped mountain, but also because it’s a single trail paradise for mountain bikers. The village is car-free which adds a very special flair to your journey. 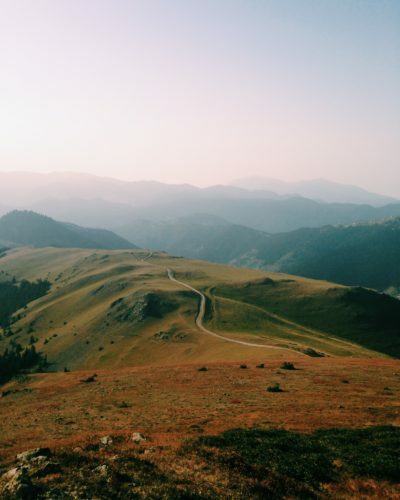 Check out our Spotify playlist in our profile for the perfect tunes for your mountain adventure. Discover the trails on Gornergrat and inhale every moment of the scenic panorama. We are digital natives and big mountain aficionados. We decided to travel the world and explore the most beautiful bike trails, ski hidden powder tracks, and climb spectacular rocks. Getting up early to enjoy a bike ride before breakfast. Passionate people we meet during our travels. As sports enthusiasts and outdoor lovers who love to do their own thing. We love to read online magazines of all kinds, but also enjoy a good old-fashioned book from time to time. We love to watch action sports films that boost our motivation for the upcoming season. The Alps. So much diversity in such a small region. We haven’t found anything comparable so far. If you are bound to social constructs like weekends, never waste one! XL duffel bag – travel heavy, tread light. a chance to experience and constantly learn something new.